TensorFlow World brings together the vibrant and growing ecosystem that is driving today’s powerful neural networks—and impacting everything from healthcare, finance, IoT, and beyond. Get the latest news, offers, and more about TensorFlow World and the topic of data. From data centers to edge devices, and diagnosing diseases to environmental conservation, TensorFlow is powering the machine learning revolution. Growing from its origins at Google, TensorFlow is a fast-moving and expansive open source ecosystem, covering many platforms and programming languages in industry, education, and research. O'Reilly Media and TensorFlow are teaming up to present the first TensorFlow World, bringing together the entire community to explore the latest developments, from research to production, and application areas spanning healthcare, finance, robotics, IoT, and more. We'll hear how data scientists, engineers, developers, and product managers are leveraging TensorFlow to build products and services to help transform their company. Executives, CTOs, and innovators will share how they navigate new opportunities created by machine learning. At the O'Reilly TensorFlow World, you'll join machine learning pioneers and practitioners to explore how TensorFlow is powering everything from data centers to edge devices, environmental conservation to advanced healthcare. TensorFlow is evolving quickly. Join us, and grow with it. We believe that true innovation depends on hearing from and engaging with people with a variety of perspectives. Read our Diversity Statement. We're committed to creating a safe and productive conference environment. Please read our Code of Conduct. 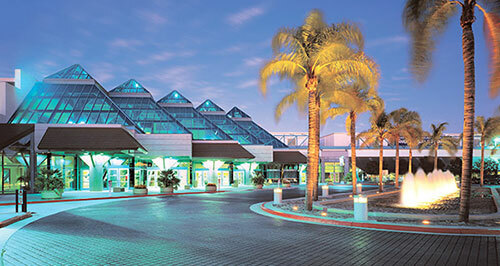 The conference will take place at the Santa Clara Convention Center, an ideal Silicon Valley location with numerous nearby attractions, restaurants, and entertainment. Make the most of your limited time to network and learn by staying at the official conference hotel.